New ULTRA FAST INTEGRAL version. BT performs 10x faster than the original one. System Integrator Holy Grail - Tomorrow’s Hardware Today! Works with any HDCP revision sources and any HDC revision displays. A few switchs on the HDfury Integral can be set once depending on the HDCP revision requiered by your TV. No other setup is required. For more information download the User Manual. 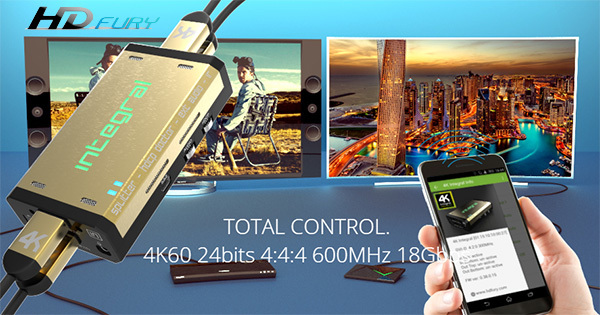 HDfury Integral is the world first solution that work with any HDCP revision sources and any HDC revision displays, no matter if your display is HDCP 1.4 and your source is HDCP 2.2. Thanx to our embedded unique HDCP Doctor feature, you will be able to display any HDCP revision sources on any HDCP revision displays. ALWAYS & GUARANTEED!